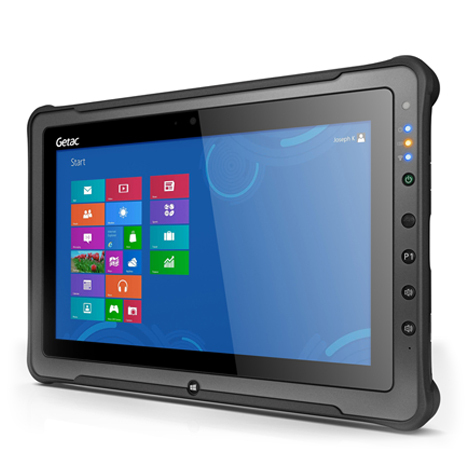 The award-winning F110 is a true revolution in rugged tablet computing. 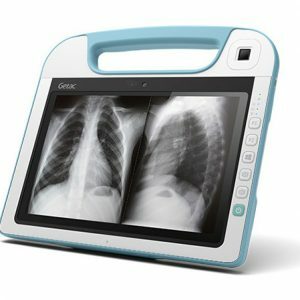 The F110 combines best-in-class performance, industry-leading security, a large 11.6″ widescreen display and a thin and light design that redefines rugged mobility. 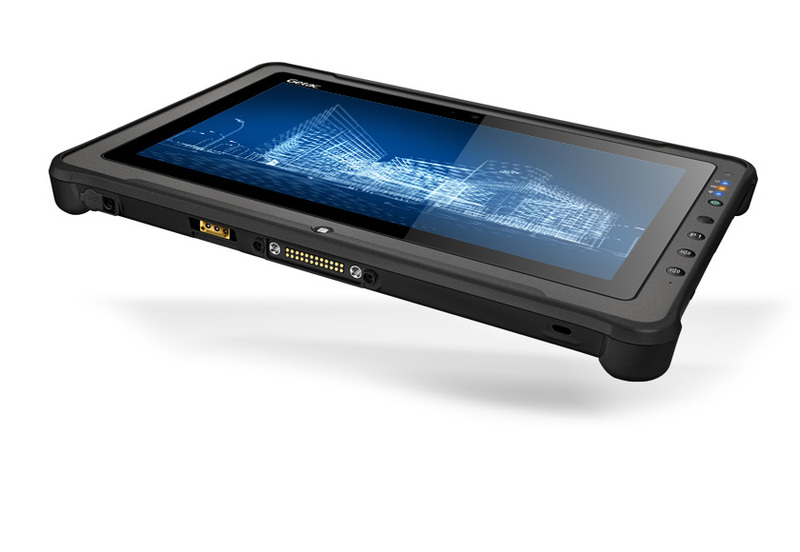 Designed to be about the size of a typical piece of paper, the new F110 rugged tablet breaks new ground with its large 11.6” display. 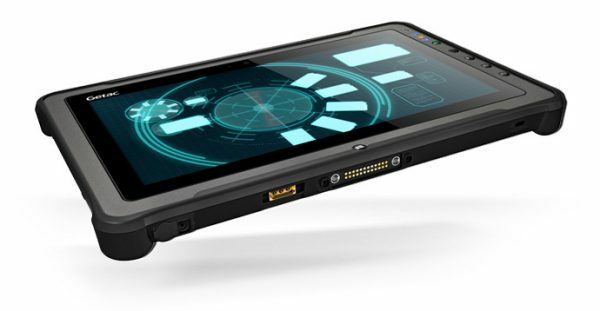 Most rugged tablets choose either a large display or a compact design. We chose both. The F110 can be configured with either the latest Intel® Skylake Core™ i5 or i7 processor, delivering an amazing level of CPU performance. 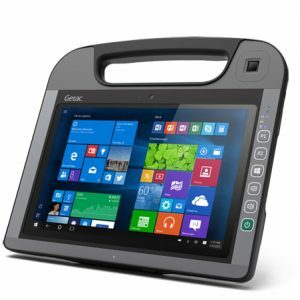 Getac’s F110 features the new Intel® HD Graphics 520 providing an unparalleled level of responsiveness and frame rate for both 3D graphics and video. One of the best features of the F110 is one of the simplest. Instead of one single removable battery, we built the F110 to have two hot-swappable for potentially infinite, uninterrupted battery life. This allows you to remove one of the two rechargeable batteries and replace it with a fresh battery without ever shutting down. Engineered to protect the computer against drops, shocks, spills, vibration, dust, liquid and more, the F110 has been independently tested and certified to MIL-STD-810G, IP65 and MIL-STD-461F standards. i Barcode reader, Serial port , Ethernet, are mutually exclusive options. iii RFID, smart card reader are mutually exclusive options. iv 13.56MHz Contactless RFID and Smart Card reader (ISO 15693 and 14443 A/B compliant). vi Battery life testing conducted under MobileMark 2007. Battery performance will vary upon software applications, wireless settings, power management settings, LCD brightness, customized modules and environmental conditions. 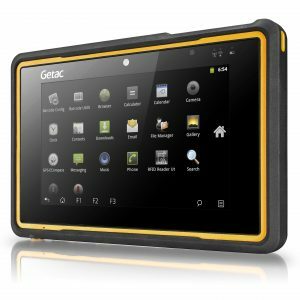 The battery has a limited number of charge cycles and may eventually need to be replaced by a Getac service provider. Battery life and charge cycles vary by use and settings. vii Weight varies from configurations and optional accessories. viii MIL-STD-461F 90W AC adapter sold separately. ix Tested by a national independent third party test lab following MIL-STD-810G.